When the world is changing at warp speed, schools cannot afford to lag behind. All over the world, teachers, parents, and kids are calling for new schools for a new millennium . . . .
From her first job as a high school English and journalism teacher in Central California, Patti was delighted to find out that she learned more from her students than they may ever have learned from her. She taught literature and writing to all grades and all ability levels, including gifted and Advanced Placement classes, for ten years, along with newspaper and yearbook. She developed a state-of-the-art computerized Writing Lab, redesigned curriculum for the English Department, and served as public affairs director and work experience coordinator. Patti was named Kern County Teacher of the Year in 1984. In order to do more about school change, she became an administrator, starting out as activities director at a 2200-student high school. She involved students in community service and cross-cultural projects, expanded community support for the arts and coordinated the efforts of six parent booster groups. She was named to the Superintendent’s Task Force to design Project 2000 for the Kern High School District, which partnered with Ford Motor Company to enhance outcomes in four local high schools. Promoted to Assistant Principal for Instruction, Patti orchestrated a year-long planning process for school improvement, involving teachers as researchers to discover “best practices” about restructuring school operations and integrating curriculum. The comprehensive redesign plan provided interdisciplinary curriculum, team teaching, a personal support system for all freshmen and acquisition of multimedia systems to bring new technology to the classrooms. After moving to upstate New York in the early ’90s, Patti became assistant coordinator of adult education programs for a three-county regional office where she developed an ACCESS Center for Adult Education and Training in Cobleskill, NY. With the success of this center, Patti became one of 27 county coordinators for Governor Cuomo’s GATEWAY project, merging workforce and economic development by joining government, education, business and human services in one coordinated effort. Realizing that these massive efforts would not be necessary if we could improve the quality of K-12 education, Patti went to work as a district administrator for a 10,000-student K-12 district in upstate New York. She created a support team for freshmen, a writing lab, and tech-prep programs at the high school, and “Showcase for Success” events where teachers from all grade levels shared techniques. She spearheaded the development of a district-wide plan for raising standards and improving student achievement, including intensive work with K-8 teachers to connect curriculum in core areas. Another move took her back to Southern California, where she was determined to return to front-line duties, working directly with students and teachers at a school site. She became Assistant Principal at a high-achieving high school in Ventura County that was named one of the top 100 high schools in the nation by Newsweek magazine. Patti reorganized systems and created a Big Picture plan to streamline school operations and place more emphasis on academic work. She brought in community artists to develop a Performing Arts Academy and expanded fine arts funding. After 25 years of doing as much changemaking as she could, and watching the system snap back into place like an overstretched rubber band the minute her back was turned, Patti decided the public needed to hear the true (and fully fictionalized) story she tells in Angel Park. As a veteran of the school wars, like thousands of educators around the country who make great changes every day, Patti is determined to keep talking about the vast transformation the American school system needs so all of our children can learn how to live their own dreams. 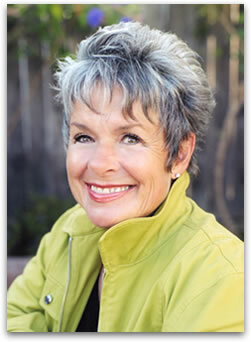 A former Regent’s Scholar at UCLA, Patti holds two master’s degrees in English and educational administration. She grew up in the Central Valley of California and was an honor graduate of Bakersfield Junior College before enrolling at UCLA. Patti and her husband live in Southern California, near their three grown children.